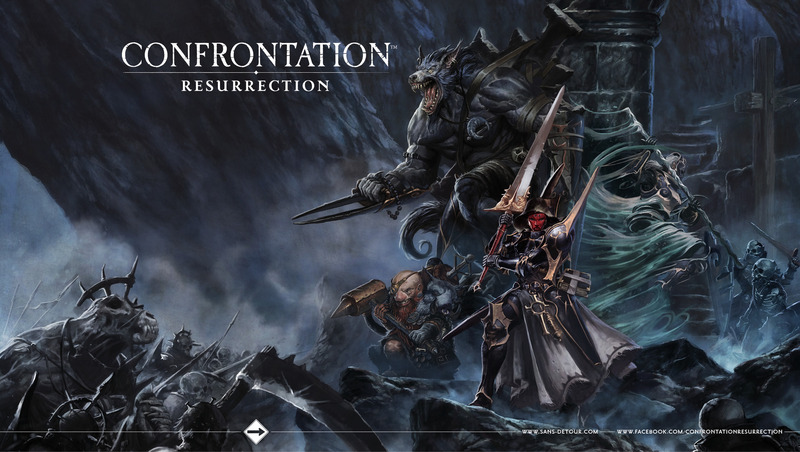 Fan-favorite game, Confrontation, is going to be making its way back to tabletops soon. Sans Detour has acquired the right to the game world of Aarklash and are going to be making a new miniatures skirmish game, a board game, and a range of miniatures to go with them. The french edition company "Sans Detour" has announced, via a new facebook page, that Confrontation will be resurrected in 2017. They have acquired all rights and licences for the Aarklash universe and have announced a new range for a skirmish game, a board game and a range of collection miniatures. They have already announced that they want to keep the legacy of the old Confrontation intact and such keep the quality the game was well known for. Sans Detour is an rpg editing company. They are known for having developped and edited in France the new Call of Cthulhu RPG.